The holidays are almost upon us and maybe you are not quite sure where you want to spend your days relaxing. Living it up in a tiny house resort is a unique and exciting opportunity to try out tiny living before you commit or just a new way to experience the holidays. Either way it is a great getaway for any nature lover and anyone interested in the tiny house movement. Introducing the world’s largest tiny house resort, WeeCasa located in Lyon, Colorado prides themselves on being a company that holds the belief, life should be lived between a balance of freedom and sustainability. By focusing on experiences and living life to its fullest, WeeCasa offers an experience away from the physical and mental clutter that often overshadows our life and allows for the enjoyment of nature and a sense of liberation from the daily grind. 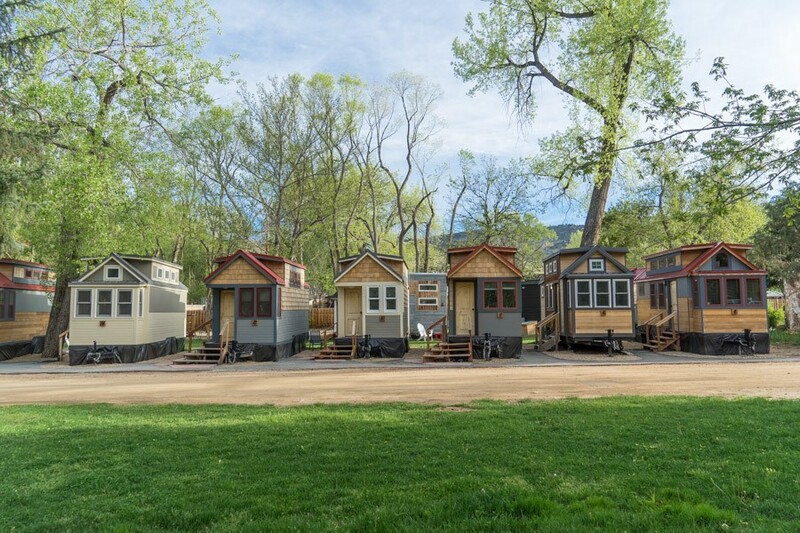 Offering 22 different tiny houses to live in, ranging between 135-250 square feet in all different styles that fit your aesthetic taste and multiple floor plans that you can choose from that best suits your stay. These tiny houses are set up in a neighborhood style on a sprawling large lush green property with plenty of space between each tiny house along with access to a nearby river so that guest can soak up nature to its fullest. Not sure if this is for you? Now you have a chance to check out this tiny house resort on Saturday, December 23rd for a tiny house tour. Between 1pm-2pm, the resort will open up 4-6 tiny houses for anyone interested in seeing what tiny living is all about. Tickets are $10 per person and can be purchased here! The holidays are right around the corner and often times it is hard to find the perfect gift that will not only be cherished but will be useful too. Instead of worrying about finding the perfect gift, think about offering a once in a lifetime experience getaway for that hard working person in your life! WeeCasa is selling Holiday Gift Certificates this holiday season which could be the perfect respite for anyone needing a break and interested in reveling in nature.